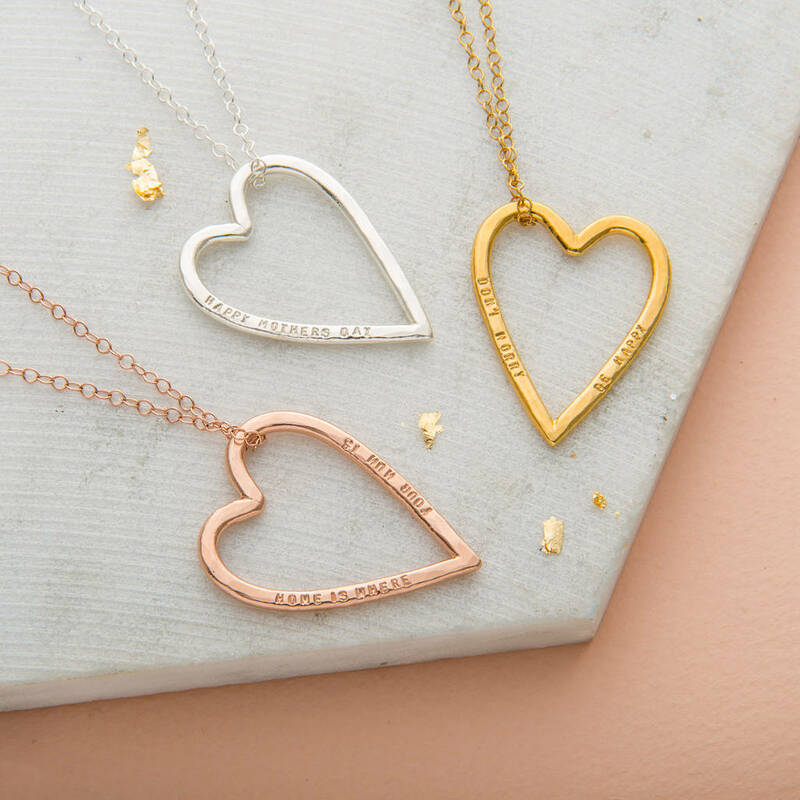 Carry those special names in your heart at all times with this timeless Personalised Heart Necklace. 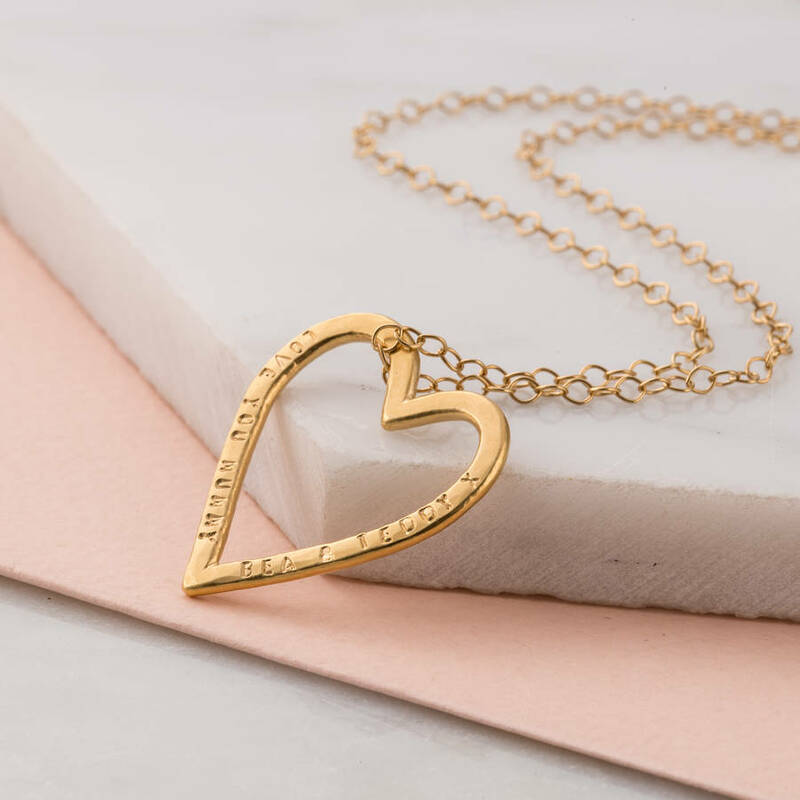 The beautiful Personalised Heart Necklace can be personalised with names, dates or words special to you with options to 9ct yellow or rose gold plate. Popular personalisations are names, dates and special words, be as creative as you wish! 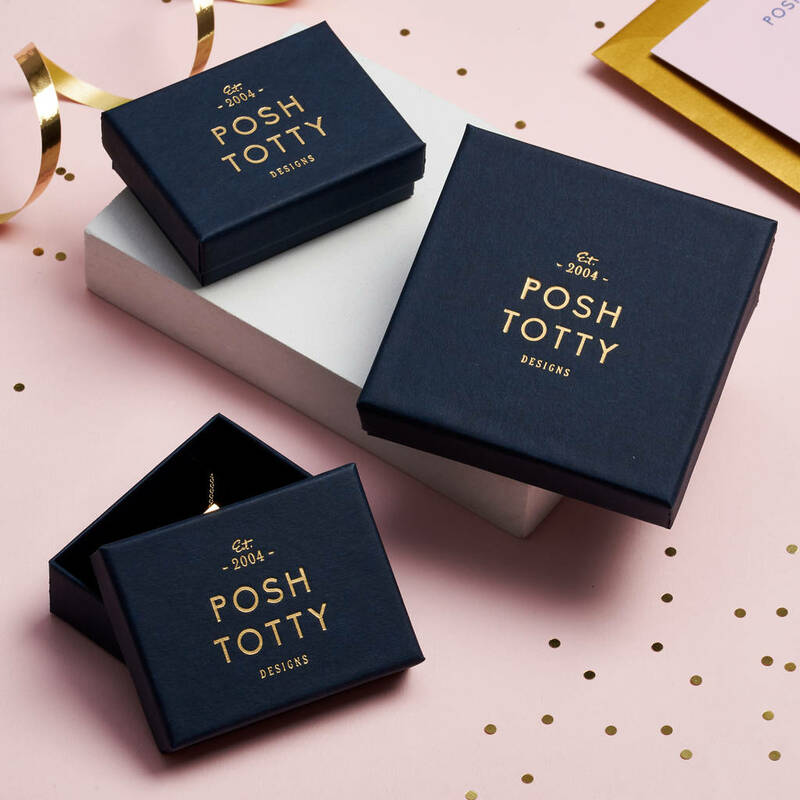 The perfect gift for someone special (or the perfect self-gift to your special self!) 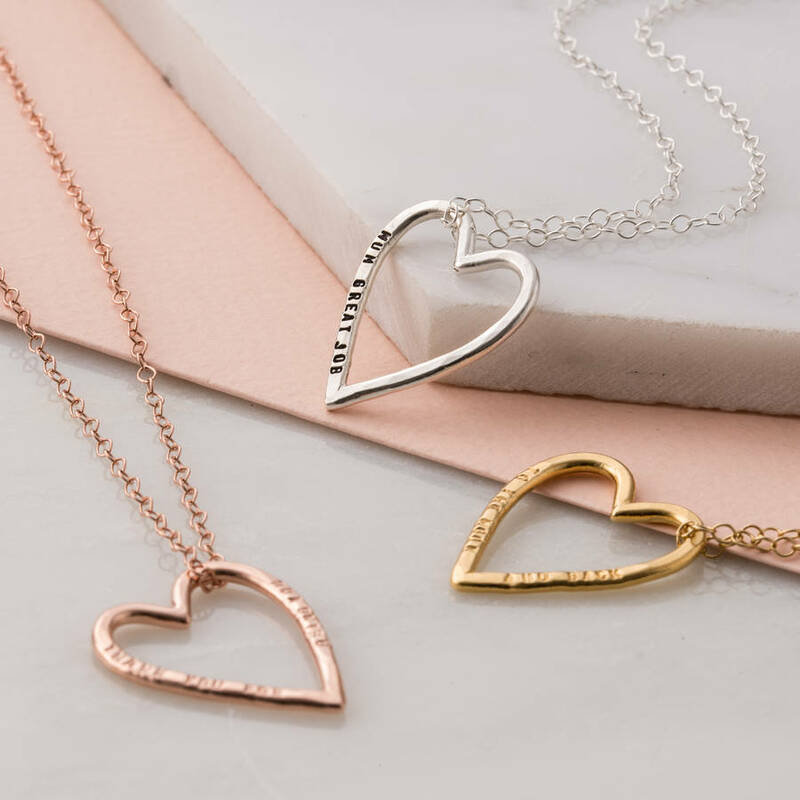 The personalised heart necklace is a beautifully tactile piece suspended on an silver trace chain, choose from the medium or large heart sized pendant. Personalise with up to 16 characters including spaces on the right and left sides, if you would prefer the heart personalisation free enter BLANK into the text box. 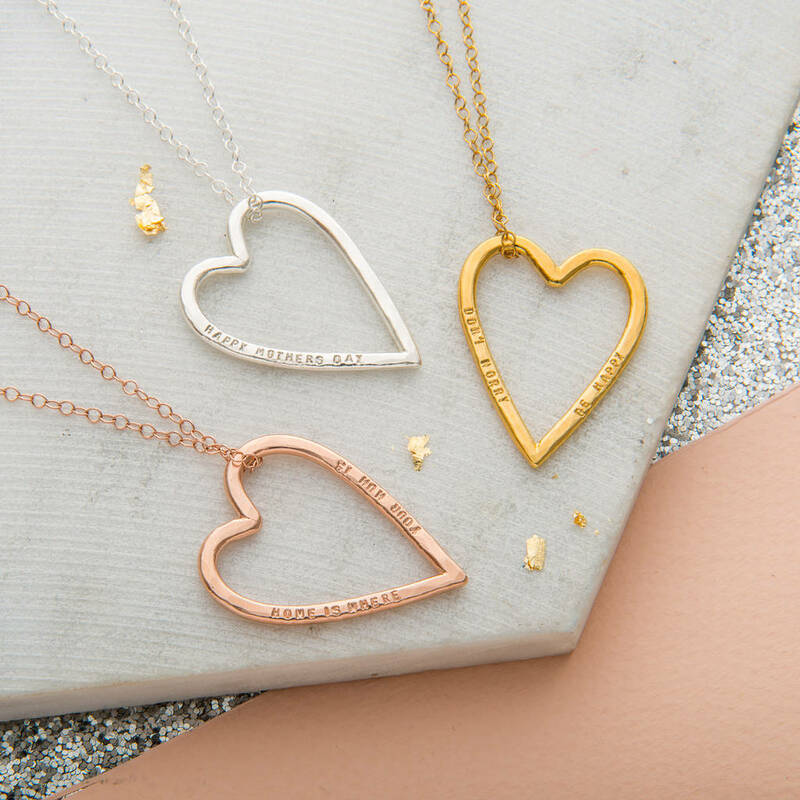 Each necklace is made in our Brighton workshop the personalisation is hand stamped rather than machine engraved, as such, any irregularities should be appreciated as part of a bespoke design. Choose from black and clear letter finish. The black finish will make the personalisation stand out and the clear finish is a subtle and discreet way to wear your personalisation. We can only stamp the Roman alphabet in the font shown in the product images. This includes certain punctuation marks, they are: the ampersand (&), the comma (,), and the full stop (.). We can also include numbers but we cannot include any other punctuation, accent marks or mathematical symbols. Any punctuation requests other than those listed above will be omitted. 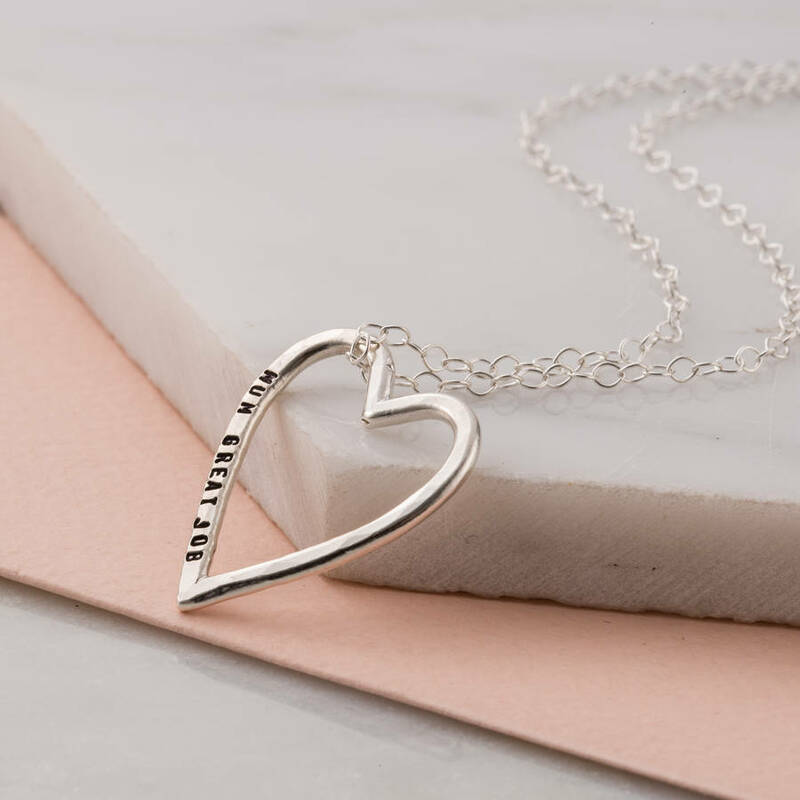 This necklace is handmade in 925 sterling silver with a sterling silver trace chain. It can also be 9ct gold plated or 9ct rose gold plated. 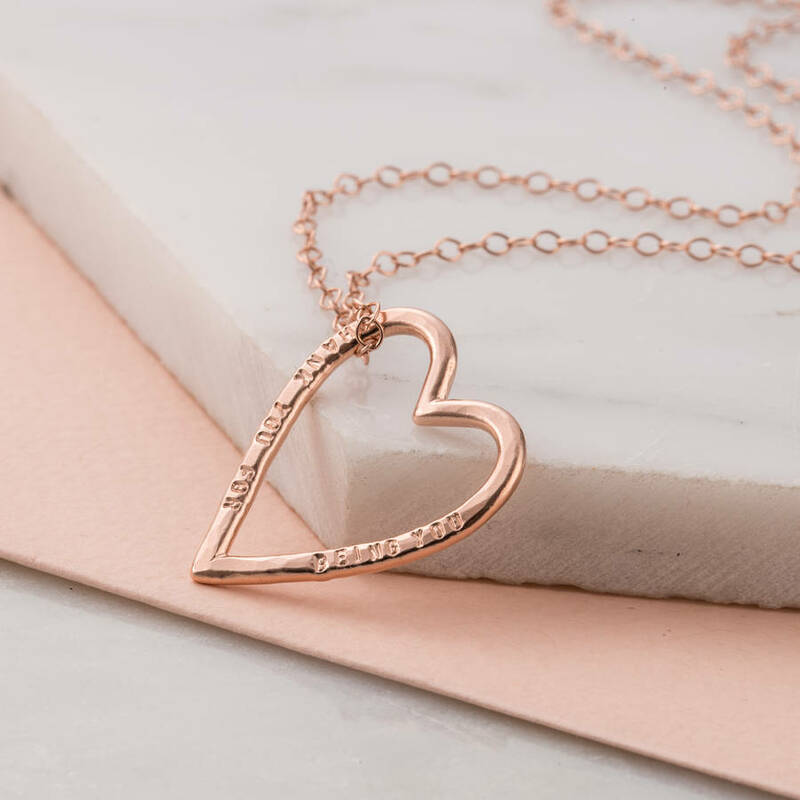 The medium heart pendant measures 2.3cm height and 2cm at the widest point. 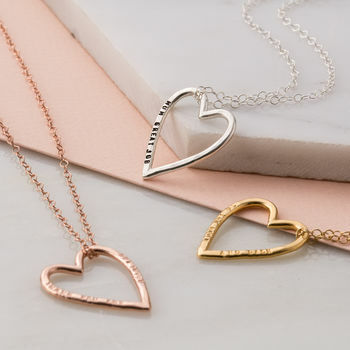 The large heart pendant measures 3.3cm height and is 2.5cm at the widest point. The handstamping is in a 1mm font. We have a 3 Day express delivery service at £25 ( on working days) on a select few of our products if you require a gift without delay. This service ensures your order is made & delivered within 3 days (if ordered BEFORE 12pm) This delivery service will require a signature on receipt. We are not able to offer 3 Day delivery for International orders. Orders placed AFTER midday will be accepted the next day dispatch time is given from the time of acceptance. Orders placed at the weekend will be accepted the following Monday.